If money is no object, Orijen is the best dry food for your dog. 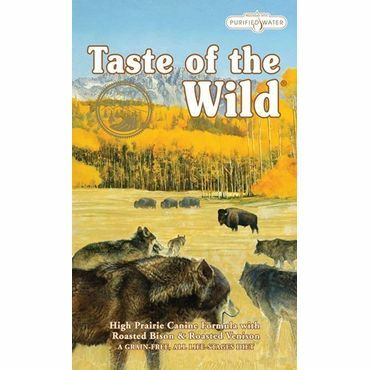 If money does matter, Taste of the Wild is a high-quality alternate. We also name a decent budget kibble, some terrific canned dog food choices, and a near-raw dehydrated food that experts and dog owners love. 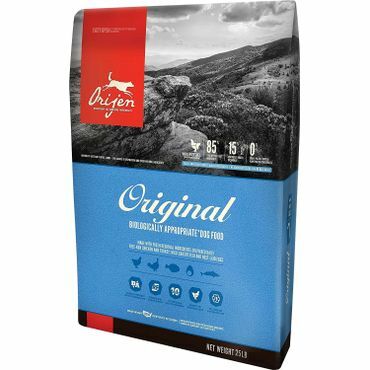 Orijen Original Adult Dog Food is expensive, but experts -- and dog owners -- say it's worth it. It's a high-protein, grain-free food made from fresh, locally sourced meats, eggs, produce and wild-caught fish. All preservatives are natural and protein sources are certified as being fit for human consumption. Orijen Original (along with most other Orijen varieties) is made in a company-owned plant in Kentucky and the food has a spotless recall history. It costs more than the dog kibble that can be purchased in your local supermarket, but experts say Taste of the Wild High Prairie is worth it: It's grain-free and soy-free, with no artificial preservatives. Buffalo meat is its top named ingredient, followed by lamb meal and chicken meal -- and there's even venison in the mix. It's not as meaty as Orijen, however, and the safety record, while good, is not quite spotless. 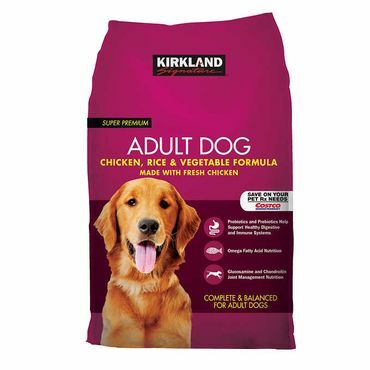 It's hard to find a quality dog food on the shelves of a supermarket or warehouse store, but Kirkland dry dog food (sold primarily at Costco) comes pretty close. It has an above-average meat content compared to its supermarket competition with chicken and chicken meal being the top two ingredients. While the dog food is not grain-free, it uses better quality grains, such as brown rice and barley, rather than cheaper ones like corn or wheat. 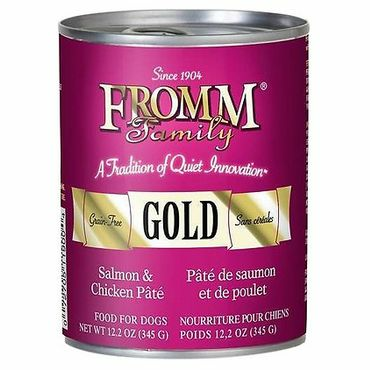 Experts say that wet food, either on its own or in combination with a dry kibble, is the best diet for a dog, and Fromm Family Gold Salmon and Chicken Pate illustrates why. It's grain-free and loaded with meat (USDA-approved, human-quality meat, at that), and with veggies, vitamins and minerals -- a simple recipe that's ideal for dogs. While it's certainly more expensive than a supermarket food, it costs less per ounce than other super-premium canned dog foods. 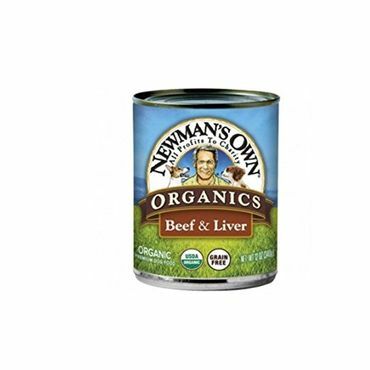 Newman's Own Organics Grain Free Beef & Liver has a nutrient profile that mimics what a dog would eat in the wild. It's grain-free, GMO-free and certified organic. While the beef comes from Uruguay, that's a country with strict regulations prohibiting the use of hormones and antibiotics. The icing on the cake is that Newman's Own costs less than many other premium dog foods -- and all profits go to animal charities. 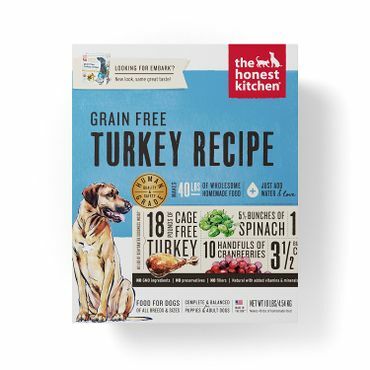 You can get pretty close to a dog's wild diet with The Honest Kitchen Dehydrated Grain Free Turkey Recipe, reviews say. It's grain-free and, made from near-raw turkey and veggies. Embark comes in a convenient, dehydrated powder that you mix with water to make a moist food; a 10 pound box yields roughly 40 pounds of dog food. With all-natural ingredients and a nearly (but not quite) spotless safety record, this is a hands-down expert favorite. Kibble, or dry dog food, is convenient, and it costs the least per feeding (without water, it weighs less to ship and is a concentrated food source). Unlike cats, dogs will drink plenty of water to hydrate themselves, so dry food is perfectly acceptable. Just be careful: Most supermarket kibble consists mainly of corn and soy pellets -- not the meat that dogs evolved to eat, experts warn. High-meat, low- or no-grain kibbles are best. Experts say you should serve canned or fresh food, too, to make sure your dog gets enough moisture and protein. The cost of dry dog food varies widely, from more than $3 per pound to as low as $1.10 per pound for good feeding choices. It's more expensive per feeding than dry dog kibble. but canned dog food is often high in meat and grain-free -- ideal for dogs, experts say. Expect to pay about $2 to $2.50 or more for a can of high-quality dog food. Canned food must also be handled more like a human's fresh foods. "Unlike kibble, wet foods exposed to the environment can easily grow bacteria — and quickly become contaminated," notes Mike Sagman at Dog Food Advisor. For that reason, he adds, canned food should not be left in a dog's bowl for more than an hour or two, and any unserved dog food must be refrigerated -- and even then discarded after a couple of days. While some dog owners go the extra step of cooking for their dog, if you want a simpler way to feed Fido something that's closer to his or her wild diet, a dehydrated raw food is a good way to go. Raw or lightly steamed meats and veggies are dried and ground up; you add water to make a moist dog food. Expect to pay about as much per feeding as top-quality canned food. Raw dog food is also sold frozen. Dog food buyers are faced with a dizzying array of choices, and a host of contradictory -- and sometimes controversial -- -- claims over what the best diet is for their dog. This can lead to a lot of questions as to which food is the safest and most nutritious choice for their four-footed companions. And, of course, it has to be appetizing enough that Fido won't turn up his nose at dinnertime. Pet-nutrition experts say that the best dog food is made from top-grade ingredients, especially meat and vegetables. While some high-quality whole grains are also acceptable, what you don't want is a lot of filler as the primary ingredient; these are items that have less nutritional benefit. According to reviews, better-quality dog food results in a healthier coat, fewer digestive problems and firmer stools. Because your dog will absorb more nutrients from better-quality dog food, less will be passed as waste. You will also be able to feed less, closing the cost the cost gap between high quality food and cheap supermarket kibble. Reading and understanding ingredient labels are the keys to finding top quality foods. We delve into what to look for in our section on dog food ingredients. Dog owners have lots of resources to help them pick a safe, nutritious product. Sites and publications like Petsumer Report (and its companion blog, Truth About Pet Food), Dog Food Advisor, Dog Food Guru, DogAware.com and others put dog foods under the microscope, scouring labels for red-flag ingredients, demanding safety information and tracking recalls. Owner reviews are helpful as well, especially when it comes to learning which foods are eagerly eaten, and which ones leave our four-footed companions cold -- though keep in mind that a food that's heartily wolfed down by one dog might be completely rejected by another, and vice versa. Don't forget that your feline friends need a top quality food too, and we cover those in our separate report on cat food. To find the top dry, canned and dehydrated dog foods we consulted the websites and publications named above and many more, and read thousands of user reviews. Based on that information, we looked first at ingredient quality and the safety of the food -- paying special attention to recalls, the reasons behind them, and how forthcoming dog food makers are with their customers. While every dog owner might like to feed their dog the best food available, not all have the budget to do that, so we also look to value to find choices that are close to the best, but cost less. The result? We found good dog foods for every budget, from Costco kibble to pricey "human food" dog food. Whole meat or a named meat meal as its top ingredient. No fillers or low-quality grains.